As discussed in a [% 2568212 | | recent blog post %], this summer is shaping up as a frequent flyer mileage windfall for travelers planning to rent cars from any of the major rental companies. No matter which airline or hotel program you favor, one or more rental car brands are certain to be offering more miles, plus discounts and upgrades. Through August 31, Priority Club Rewards members will earn 2,000 bonus points for every second qualifying night at InterContinental, Crowne Plaza, Hotel Indigo, Holiday Inn, Holiday Inn Express, Staybridge Suites, and Candlewood Suites hotels. A maximum of 20,000 bonus points may be earned during the promotion period. Planning a trip to or from Milwaukee through the first week in September? AirTran and Midwest both want your business, and they’re offering competing frequent flyer bonuses to get it. 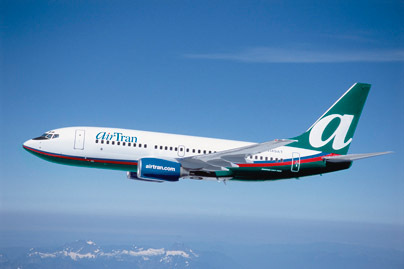 Through September 5, members of AirTran’s A+ Rewards program will earn triple credits for round-trip flights between Milwaukee and Atlanta, Baltimore, Boston, Ft. Myers, Los Angeles, Las Vegas, New York (LaGuardia), Orlando, San Diego, San Francisco, Seattle, and Washington, D.C. (National). And between June 1 and September 5, Midwest is offering members of its program, Midwest Miles, bonus miles and a companion ticket for flights between Milwaukee and Atlanta, Baltimore, Boston, Las Vegas, Los Angeles, New York (LaGuardia), Orlando, San Diego, San Francisco, Seattle or Washington, D.C. (National). Bonus miles for summer flights to London? Through July 31, WorldPerks members can earn bonus miles on Northwest’s new Detroit-London (Heathrow) flights. Bonus depends on fare type, as follows: 15,000 bonus miles for round-trips in J or C class; 10,000 for Z, Y, S, B, or M class; and 5,000 for H, Q, V, L, T, or K class. Registration is required by July 21. Spirit really wants you to sign up for their co-branded credit card. And they really want you to fly. So they are offering a package of bonuses which potentially amounts to 50,000 Free Spirit miles. First, new cardholders receive 15,000 bonus miles after the first charge. Second, transfer an outstanding balance to the new Spirit card, to earn up to 10,000 bonus miles. And third, earn bonuses for flying: 5,000 miles for four round-trip flights; an additional 5,000 miles for a total of seven round-trips; another 5,000 miles for a total of 10 round-trips; and 10,000 more miles for at least 12 round-trips. In all, a maximum of 25,000 bonus miles may be earned for flights. Be sure to register to receive the bonus.